After a long day, hers is the first number I dial. Sometimes we talk for 30 seconds, and sometimes I peel my heated-up phone off of my cheek, wipe off the filmy streaks of foundation, and see that we’ve been gabbing away for an hour. But, on average, our calls last about three minutes, enough time to catch up and exchange “yeahs” and “okays” back and forth until one of us has to go. It’s a habit — walk out the door, dial her number, and get to chatting — except unlike picking my split ends or peeling my cuticles until they bleed, it's actually good for my physical and emotional well-being. I call my mom every day because we both have a fondness for mostly mindless chitchat topped with a heavy sprinkling of gossip, the kind of conversation that phones are made for. I’m convinced talking on the phone is an art, and I’ve learned it from the master. Like any art, you have to keep at it, even if it’s only for a few seconds or minutes a day. So in between marathon calls with long-distance best friends, I keep my skills sharp by talking to my mom. I call my mom every day because my dad’s just not a huge phone person. This isn’t to say we never talk on the phone; it’s more due to the fact that my dad is one of those people who comes home, plugs in his iPhone to charge in the kitchen, and often doesn’t touch it again until he leaves for work the next morning. Can you imagine? I love my dad and we’ve had some grand phone conversations over the years, but if I get a regrettable haircut, you better believe I’m not calling him. I’m calling my mom. I’m convinced talking on the phone is an art, and I’ve learned it from the master. I call my mom every day because she’s just about the only person who truly, genuinely cares about my terminally lumpy comforter and that zit on my chin that won’t budge. She cares not just because she’s my mom, but because she jumped on the train of my life’s minutia early on; since we talk every day, she’s already clued in on everything and knows exactly what to say and think about it all. Everyone needs someone like this, and the main job requirement is that they are someone you talk to daily. I call my mom every day because if I didn’t call her, she would call me. There’s no incident that illuminates this better than the time I went to happy hour right after work at an underground bar that had no cell reception but very strong margaritas. About three of those (and no dinner) later, I stumbled home, put on an episode of Top Chef, and zonked out on the couch fully clothed. When, after a few hours, I groggily awoke from my drunken slumber, I had no less than 15 notifications on my phone’s home screen: several missed calls and voicemails from my mom, and then a handful of texts from each of my three sisters. It was maybe the first time that I not only hadn’t called her, but I also hadn’t picked up her call or sent her a quick text to let her know I hadn’t fallen down an open manhole cover or whatever terrible thing she thinks has befallen me when I don’t call, so she sent things down the chain of command. Her behavior may sound paranoid or excessive, but I think it was more than fair, given how out of step it was with my usual behavior. I call her so regularly that when I don’t, her response is merely Pavlovian. Can you blame her? I call my mom every day because — and I’m admitting this in writing so there’s a proven record of me saying it — she’s always right. I honestly don’t know how she does it, but her knowledge spans all categories: She’s never been wrong on a first impression of someone, about what college I should go to, about what colors I should never wear with my skin tone, the list goes on. I’m often dumbfounded when I’ve painstakingly come to a conclusion that she accurately determined with ease in a matter of seconds, but someday, I’ll get on her level. I call my mom every day because it reminds me of coming home from school. One of her proudest achievements as a mom is that my sisters and I never came home to an empty house. I was never consciously grateful for this as a snot-nosed teenager, but I knew on some level that her being in the house as I sat at the kitchen table doing algebra homework made it feel a little less like getting a root canal. Her reliable day in, day out presence was the little anchor of accountability and stability that kept me sane when things got busy or stressful. I don’t know if I’ve ever truly thanked her for it, but I’d like to think that my daily calls are a form of showing gratitude. Now that I live by myself, I’d do anything to come home, plunk down on the couch next to her, and watch Oprah give makeovers to all of the hapless dog walkers of Chicago. But I can’t, so I call her. Now that I live by myself, I’d do anything to come home, plunk down on the couch next to her, and watch Oprah give makeovers to all of the hapless dog walkers of Chicago. But I can’t, so I call her. 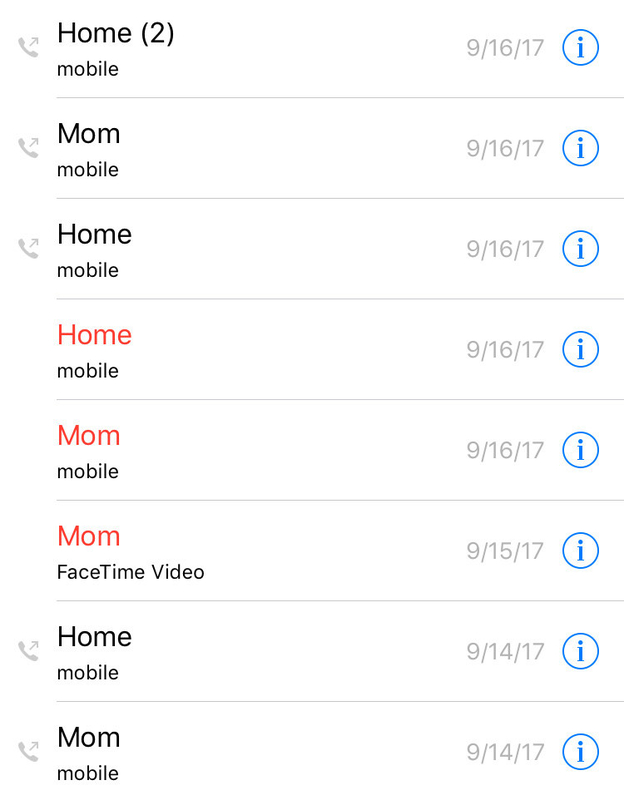 I call my mom every day because it’s something of a family tradition. “When I first met your mother, I couldn’t believe she talked to her mom every day on the phone,” my dad once recalled in amused disbelief. As you’ve learned, my mom loves talking. But she also loved her mom. Every time someone in our family has a special event like a graduation or a recital, my mom says, “Grandma would’ve loved this. 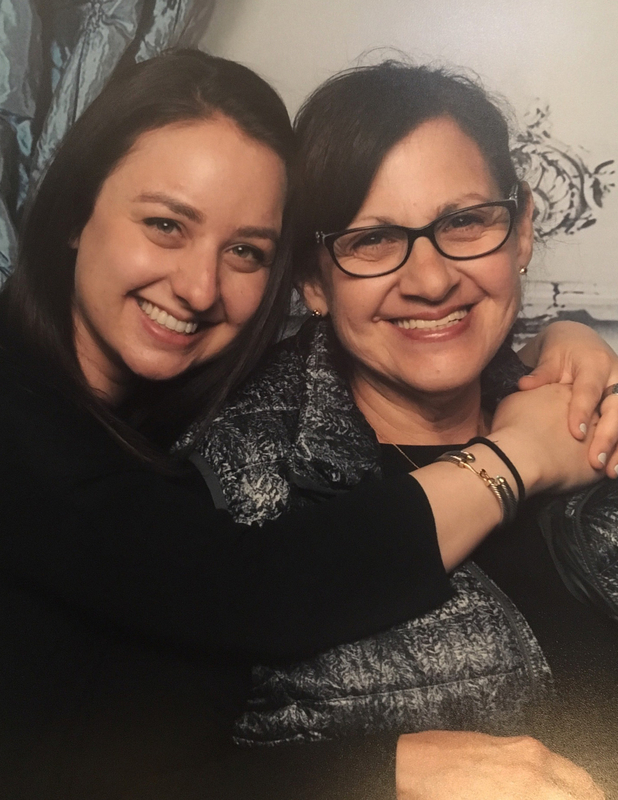 She’d have gotten dressed up and taken us out to lunch and been so proud.” I don’t remember my grandma, but it sounds like she was a lot like my mom: someone who celebrated everything, lived for a girls’ day, and, I'm assuming, loved to talk on the phone. I can’t say what my relationship with her would’ve been like, but I do know what mine is like with my mom. We talk every day, just like she did with her mom, and in a way, the tradition of those daily calls cosmically connects me to the grandma I never got to know. But mostly, I call my mom every day because I love her, and loving someone means doing the things they like. Even if I despised talking on the phone, I would still call my mom — because I know that she profoundly values the time and effort that goes into picking up the phone. It’s one of the main currencies she trades in, and I’m sure she’d be thrilled if I simply dialed her up and mouth-breathed into the receiver for a full minute. An actual conversation is just the icing on the cake. Because ultimately, it doesn’t matter what we’re saying — it’s that we’re doing it at all.